Droid 3 Adds a Little Muscle but Where's the 4G?????????? The Droid 3, the latest edition in Motorola's Droid Android smartphone series, has made its debut on the Verizon network. The phone features a 1080p HD video camera and Motorola's ESP smart dock technology, first seen in the Motorola Atrix. However, the phone's lack of 4G capabilities has raised eyebrows, considering Verizon's efforT. 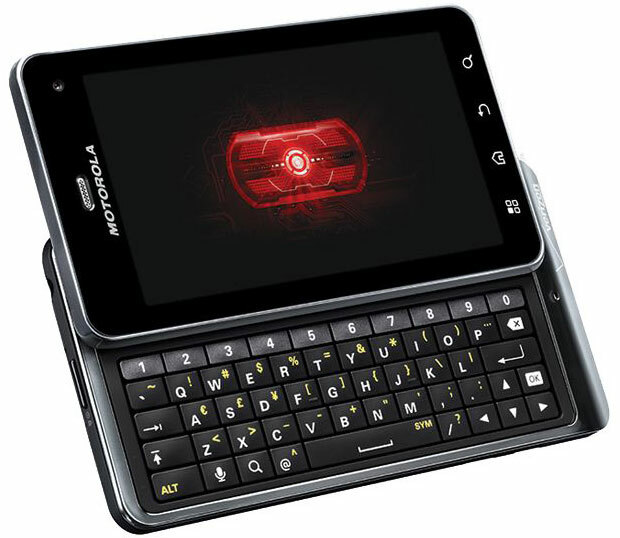 Verizon on Thursday marched out its latest Android smartphone, the Droid 3 from Motorola (NYSE: MOT). The release marks the latest in a line of phones often credited with helping to revive Motorola's strength in cellphones and giving Verizon a heavy-hitting rival to AT&T's (NYSE: T) iPhone -- before Verizon started carrying Apple's (Nasdaq: AAPL) phone as well, that is. Unlike previous devices in the Droid line, though, relatively little fanfare accompanied the release of this new smartphone. "Where's the marketing support behind the Droid 3?" asked Ramon Llamas, a senior analyst at IDC. Hardware-wise, the Droid 3 appears to offer only incremental improvements over its predecessor, the Droid 2. It has an 8MP rear-facing camera that takes 1080p HD video, a 4-inch qHD display, a front-facing VGA camera for video chat, a five-row QWERTY keyboard, 3G mobile hotspot capabilities and HDMI output capability. It incorporates Motorola's ESP smart dock technology, first seen in the Motorola Atrix. "You have the Smart Dock technology, so that's a new piece," IDC's Llamas said. "You'll pretty much find the rest of the specs on just about any other smartphone," he told TechNewsWorld. "Droid represents the best of the best in the Android lineup from Verizon Wireless," Verizon spokesperson Brenda Boyd Raney told TechNewsWorld.